Looking to Import Products into EasyCart? WP EasyCart offers several great import systems that allow you to easily bring your existing content into our eCommerce solution. WooCommerce? 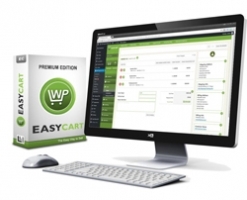 Import with one click when you install WP EasyCart into your existing WordPress website with Woo. OSCommerce? Import products, categories, and manufacturers with one-click. Square? One-Click connect and import all your Square products, categories, and options in a one simple step. Other Platform? Use our product export/import system with a spreadsheet to bring any product platform into EasyCart in bulk. Import your WooCommerce products and categories in one-click by installing WP EasyCart next to your WooCommerce system and clicking 'import'! Connects Imported Attributes (now option sets) to products the same as Woo has connected. Connects Product Categories to Products. If no SKU available, random model number is created. Connect your payment panel to SquareUp for a popular payment gateway, and bring your products into EasyCart with one-click! Stock quantity, model number, weight, image name, and manufacturer. Titles and descriptions are added to the products. Connects products to option sets. Importing your data from your osCommerce store is as simple as a click of a button! Start Selling Like A PRO Today! Start selling ANYTHING with your WordPress website today!